There will always be a long debate if there's a discussion about "What kind of software should i use?" because each side gave their advantage for their own side. But i just read in Newsforge a good article about "Why proprietary software is dangerous for business-critical applications". It's not meant to blame proprietary or just use open source as the solution, but at least, you will get an idea what will happen in the future if you are too dependent on a proprietary software. Well, the advantage is that you will get support for it, but as long as you paid for the license and if they were merged or bought by other bigger vendor and they didn't care about the old version, then you will have a nightmare until you get the new system or migrate to other system. In some forums or mailing list, i often found a question "How much virtual memory is needed on my system?". It's hard to answer this as nowadays, you can easily build a system with 2 GB of RAM (or more) and the old rule to use 2x RAM will not be efficient anymore (then you will have a 4 GB of SWAP partition). If you have some quite time, then i suggest to read this discussion at Slashdot. It's a very very very long discussion about this and take a look at the answers given by other people. At the end of discussion, perhaps you will find better information about this topic. I have seen some questions about "How do i recover my deleted files in GNU/Linux?" Well, it's not a simple question to answer, since most of the time, your file isn't recoverable if you are using GNU/Linux. If you use ext2, you might have a chance to recover it by using third party tool. If you are using other file systems, you might want to read this article. He uses TestDisk and PhotoRec to recover your files. It's not guarranted that your files will be recovered perfectly, but at least give it a try. Please note that it's better to use other harddisk to try to recover your deleted files, or it will be overwritten by your other data and it will totally unrecoverable. 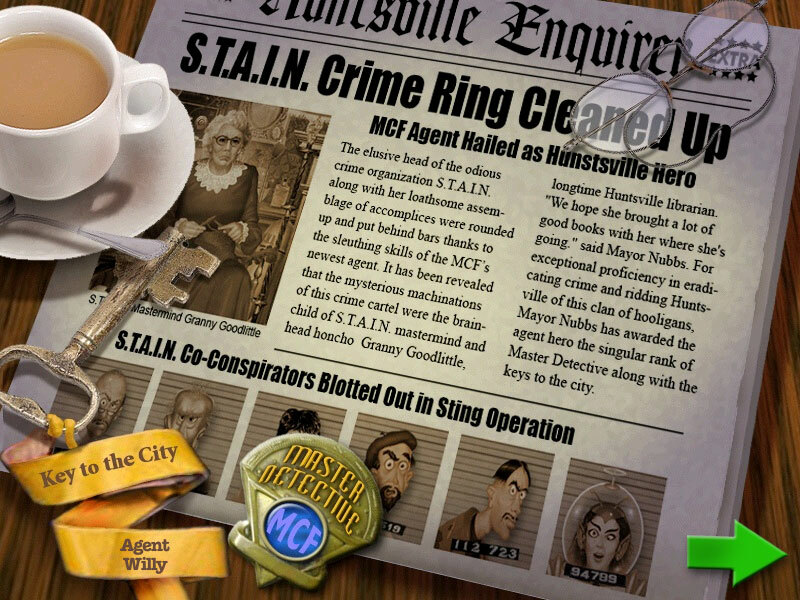 I'm not talking about Multimedia Container Format or Meta Content Framework, but i'm talking about Mystery Case File, a fun pc game that i have just finished last night and this morning. I knew this game from my girlfriend when i went back to Jogja few weeks ago and i copied the game from her. 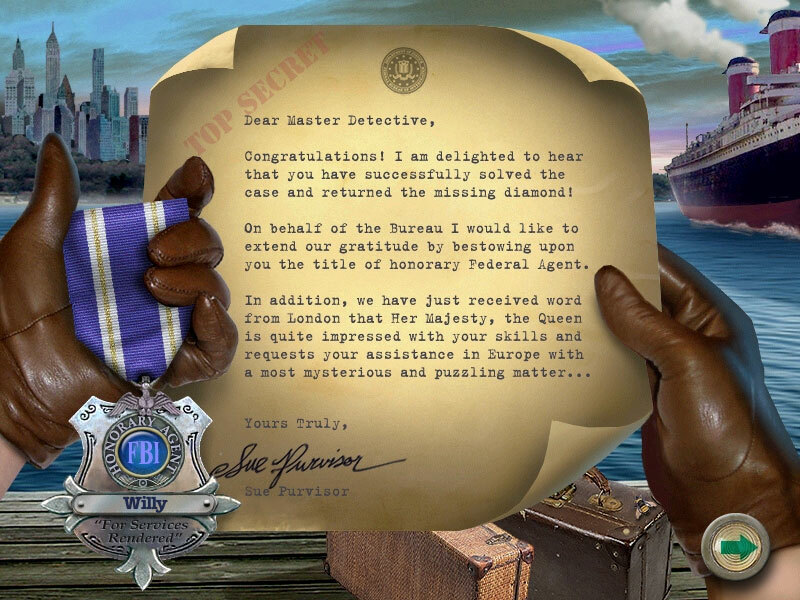 I played it for 2 days and yesterday, i finally finished the first one, MCF Prime Suspect. After watching MU match at TV7 (MU wins yeahh...), i continued to played the second version, MCF Huntsville. This version was a lot simpler then the first one as you don't have to look for batteries and no dark room, but you will have more limited time to complete each levels. It also contains less levels (15 compared to 20 in MCF Prime Suspect). I played this game until 4 am this morning and finally i beat it. Here are the screenshots after i finish the game. PS. Yes - it's free of any minix code, and it has a multi-threaded fs. It is NOT portable (uses 386 task switching etc), and it probably never will support anything other than AT-harddisks, as that's all I have :-(. " Right now, it's not a small anymore and it's huge project. A lot of vendors have tried to contribute to make their product runs smoothly in any GNU/Linux distro. Not only that, even big vendors such as HP is willing to gave their product to support the Linux kernel developments. Everybody is enjoying the development of Linux kernel. If Microsoft has just released IE 7.0 RC1, then Slackware also just released Slackware 11.0 RC3. It was one of the biggest updates i ever had besides previous updates due to upgraded libpng library which caused all application to be recompiled. This time, Pat has decided to more 2.6.17.11 from /testing to /extra, which means, it will be the default kernel series supported in the next Slackware release along with 2.4.33.2 (after being patched by Pat to read the new kernel naming in 2.4.x series). The complete changelog can be seen in Slackware's official website. Yesterday i have downloaded 2.6.17.10 kernel which contains some bug fix which related to security. Last night i installed that kernel and this morning i saw another updates to the -stable kernel again, which was 2.6.17.11. This updates also contains quite a lot of fixes and most of them have major impact if it matches the system architechture (some of the fixes are spesific to certain architechture). I have download this kernel version and if i don't have lot to do tonight, i will re-upgrade my kernel version. Upgrading kernel itself is not a difficult one. The problem is time. In my laptop, all upgrade process will take approximately 1 hours (including editing lilo, rebooting, re-installing NVidia driver, and testing the kernel itself). but luckily, most of them can be done automatically (installation process). Only some part should be done manually. Waiting for the next kernel release (2.6.18). In DetikInet, i saw a news which stated that Microsoft is predicted to start working on Microsoft Office which runs on GNU/Linux platform in the next two years. IMHO, i'm quite agreed with this. Microsoft Office is one of their biggest product and it gaves a lot of revenue to Microsoft. I'm not sure whether they want to make it running on GNU/Linux platform, as they will lose alot of money from Microsoft Office itself. Besides, Microsoft uses their own proprietary format which limits many people when they want to open other product to open their own files, such as OpenOffice.org even they had created odf-converter to convert between each files. I don't think many people who have used to work with OOo will like this idea, unless Microsoft is willing to use OpenDocument Format as their default format. After 7 hours of travelling via train (plus 1 hour of delay), finally i'm back to Jakarta. The trip was quite fun as i went with my colleague and we had some talk on the train. We also watched some movies on the train (The Medallion and the other one i forgot the name). There was an incident when we were on the train. Some local people (perhaps children) threw a stone into our train and it damaged the glass and it cracked. The first threw only hit the body of the train but the second one managed to get the passengers who was sitting on the seat surprised, as she brought her son and he was sleeping. After being cleaned up, they go to sit again. Today Pat has announced the Slackware 11.0 RC2, which comes with an updated kernel and also some other packages, such as slackpkg and pkgconfig. The kernel changes is that Pat decided to switched the default kernel to use sata.i which supports both parallel and serial ATA, which is the most widely used interface in storage devices. He recompiled most of the directory for the next Slackware 11.0 installation to reference to the new one. I hope it will be better, although we will not see any graphical improvement on the installer just like Debian or Gentoo which provide a new graphical installer. Slackware will (and i think it will always) use the ncurses-based installer which is fast, but works. That's what i like about Slackware. Not too much nitty gritty stuffs, but it simply works, robust, and stable. In the last two weeks, Slackware-current changelog is very busy with changes. Some of them are just typo or small mistakes, but the rest is a list of upgraded or patched packages in order to give better stability and security of the next Slackware release. Pat has decided to label the current status as Release Candidate 1 and it means that it will ship in short time. Slackware release date is not scheduled nor published in some kind of roadmap or schedule plan. Pat will decide it's release date when he think his creation is ready and stable enough to hit the public as he is very concern about security and stability on his great product. Most people who has used Slackware will be glad to hear that there will be another release for Slackware (including me), but those who are using -current will see not so much surprises as -current reflects the latest snapshots of the next Slackware release (and this is what i used right now, so i had to updates tons of updates everyday in the last two weeks, due to rapidly changing changelogs). Some of them were skipped due to slow Internet connection at my home, and i will leave it until i got back to Jakarta. It's only KDENetwork and KDEBASE. As for KDENetwork, it's ok for me to skip this package, as i don't use Kopete for my messaging client. I used Gaim and i'm quite OK with it. And for KDEBASE, i don't have any problem so far when i'm using Slackware and loaded KDE as my window manager, so i think it's ok to postponed this packages. PHP package was not so very important also, as i usually download it from PHP.net directly and compiled it by myself. Today i went to Plaza Ambarukmo again with my mother and my girlfriend. We went shopping for about 6 hours (that was a record for me as i never go shopping for this long before). When we had lunch at Red Bean, i noticed that they have a WiFI facility on the food court, so if you like to go to PA and have a lunch at the food court (or someplace near the food court), you could have access to the Internet also. I'm not sure whether it's a free facility or you should pay some money to use it, but i think they provide them also. Today i went to Plaza Ambarukmo (again) with my girlfriend after visiting my campuss. We had lunch there and then we take a walk and ate some ice (Charmy or something like this). It was nice and at the end, we went to Carrefour. She wanted to buy a monitor screen and i saw some electonic product and see if there is something interesting. I saw a computer mini vacuum which was powered from the USB port and it has small LED flash light on it. It was nice and i think i need this thing, as i need to clean up my keyboard in both of my laptop and PC, so i bought one. It wasn't too expensive and when i tried this at home, it has quite a big sucking power, so it's nice to have. Too bad i don't have any digicam or camera-enabled mobile phone so i can't take a screenshot of it. Today i'm scheduled to make a new planning to upgrade my Slackware on my PC. This PC has been outdated since last April and there was a lot of new stuffs that should be upgraded or new application to be installed on this system. As you know, upgrading means there's a probability that it will break the current status, so i should plan them carefully or else i'll end the process with unusable system. Right now, i'm still confused whether i should wait for the next Slackware 11.0 release or upgrade to the -current using my current system. The advantage of waiting for Slackware 11.0 is i don't have to upgrade a lot of things and configure it again, as it's kindda baseline for the overall system. I got a new fresh system with everything i need. The disadvantage of using this approach is that i will loose GNOME (even though i never used them, but i still need some of it's libraries) and i will have to configure some things so that it can used as i need and that takes time (usually i go back to my hometown every four months). Four months of updates will be waiting for me again to be installed. That's a hell of work to do and it will take most of my spare time. I will start by getting the latest changelog and sort them out. Next is to filter a duplicate packages, as sometimes old version has been replaced by new version. The last action is to upgrade/install the packages itself. I think the most problematic problem for now is to have a new kernel version above 2.6.15 in order to make the latest udev works. I will have to compile the kernel first and then i can continue with the rest. Let's see if the efforts worthed or not. If not, probably i will not upgrade this PC and let's wait for Slackware 11.0 instead. I don't use this PC as frequently as when i was in college, as i'm staying in Jakarta and this PC was not taken along with me. I use my laptop instead. After having 50 minutes of delayed (again) flight, i finally arrived at Adisucipto International Airport at Jogja. I was picked up by my mother (Thanks Mom), and we went for a lunch together at Mc.D near Stella Duce High School. Next, i took some rest since at 4 PM, i wanted to go to Plaza Ambarukmo with my girlfriend and it will be my first trip to Jogja after the earthquake that struct Jogja at May. I saw some buildings were still cracked (the worst building i ever saw up to now was the Saphire Mall). I don't think it can be (soft) re-opened at 1 of September, since major parts of the building were still in construction and the wall had a lot of cracks on it. Plaza Ambarukmo was a nice mall. It was totally different from the last time i went there at April. Now, most of the shops had been opened and the rest will soon follow them. J.Co and BreadTalk will also open one counter in this mall. That was great, since those two franchises were so popular in Jakarta and i think they will have good opportunity in Jogja also. The overall design of Plaza Ambarukmo was like most of the mall in Jakarta. It's confusing and with a lot of backdoors :D. Too bad they didn't have any e-directory services just like in Taman Anggrek. BUT, they have a toilet for disabled peoples, which is located between female and male toilets. Strange position, but they do have it. A lot of new places had open their counter in this mall and i will try them as much as i can while i'm having my holiday at Jogja with my family or my girlfriend. Tommorow i will go back to jogja and i have packed everything i need last night. It will be quite a long holiday as i will come back here at 22 of August. I may not be online in YM/MSN, but i will keep checking my emails and keep blogging so every activities will be keep up to date. It's my first cameback to Jogja after the earthquake that struct Jogja few months ago. I didn't have any chance to comeback and tommorow is the perfect time. This week, our team schedule was testing with Tootsie, one of eleven modules for OWG Project. One of the biggest problem in this module is about threads. We need a thread for producing some kind of progress bar along with some kind of sounds which reflects the progress bar (it's mainly used for the sound as the progress bar uses Timer to do the job). The sound is increasing all the time along with the progress bar and it will stop when the progress bar has reach its limit. The problem was that the thread must be suspended when the application lost it's focus or open another window, for example, opening a score window) and it must be resumed again when it has the focus back. Sometimes, it took some time for the system to fully stop/suspend the current threads, so if i open new window and back to the application and do this few times, the sound will not match with the progress bar. So i need some kind of syncronizations. Somebody who has played with threads will know that it's quite difficult to do, as threads mostly used in a parallel tasks and it has to be syncronized along all the threads (mostly for financial application), but luckily in my project, it didn't have any relation with important data at all, so the constraints are less. Even so, threads is still a pain in the development phase. Let's hope there's no major problems with threads in the next few days as i'm going back to Jogja and have a holiday starting at Saturday and came back to Jakarta at 22 of August 2006. Few days ago, Pat finally decided to upgrade to the latest udev packages and merged Piter Punk's works on his packages (udev and sysvinit). I upgraded to the latest udev version and find no problems at all (except for some unneeded messages trying to remove /dev/coldplug. I think it's a duplicate message while the directory has been removed earlier in the code.). Meanwhile, some people at LinuxQuestion forum suffered a boot trouble after they upgraded to latest udev. Maybe some of them forgot to put all the .new file on the /etc/rc.d and rename it to the appropriate name. It's already mentioned in the Changelog, but somepeole used automatic updater, such as Slapt-get, Swaret, or Gslapt which automatically download and install/upgrade the packages. I personally never used such kind of tools, as sometimes the -current package broke something and the best way (in my opinion) to upgrade and using -current by reading the changelog carefully and plan your upgrades. I have never had major problems up to now by using this method. I used to have udev problems also and the system won't finished booting. It ended at hotplug services (which is not used anymore if you have kernel 2.6.15.x and above since it has been replaced by udev), so i tried to use Piter Punk's packages until Pat decided to put an upgrade to the udev. Using udev is really nice. Your system will boot faster compared to hotplug (i have compared it by myself), and it's used in newer kernel version also, so you will likelly need to upgrade to udev also if you haven't do so (except if you wants to run old kernel version). features which are simply not in the mainline kernel yet. So no wonder i always had an error when i tried to upgrade to 2.6.17.7 even though i have selected not to include this features. I will try to upgrade to this version later on. Last night i also had my Slackware laptop with the latest -current updates and i was very satisfied, mostly because Pat has merged Piter Punk's work on udev and sysvinit. Now, Slackware comes with udev-0.96 and it works. I was quite worried about this, as i'm using Piter Punk's packages and i thought it will break my system, but in fact, it didn't break at all. Everything works just fine as long as i read the changelog to put all the .new files on /etc/rc.d/ directory. The only package that was still unofficial is module-init-tools. I tried to use Pat's packages, but my system was messed up, so i still use the old version, but it won't be such a big problem as it works perfectly. Today, the CMM Assessments will begin and it will last until friday. Two accessors, Fred and Jef had arrived since last friday and they have went to Taman Mini Indonesia Indah along with some of my colleagues. Today, they have gave a kick off meetings and the first session has been started with Rudi Theunis as the first person to be accessed. Next will be Anita and i will follow for the second period. I'm quite nervous, since this is my first time being accessed for something like this. Both of them had so many experiences in Quality Assurance and it's a good chance to learn more about Quality Assurance from them as it will be needed by all of us. Next monday, our company will have a CMM Assessment and it will be finished next Friday (and then i can go home to Jogja for some vacation for about 10 days). It's quite important for us, as conforming CMM level 2 (Repeatable) is one of our company mission and here is the judgement day. By conforming CMM Level 2, we can be more mature in our processes and also in our software development process as we can tracks so many things related to the projects and we may have predict it much better from the first project to the latest project. I got the first session which will start at 13.30 AM and it will be 1 hour session. After that, it will go through all of my colleagues (except for Markus, Widya, and Stella). Let's hope for the best and hopefully our company can get sertification for CMM level 2. I met new people yesterday, who asked about CAPTCHA code in my guestbook. He was Steven Gerbitz. He wanted to implement a CAPCTHA code in his website in order to reduce spammers and robots filling his website and he asked me on how to do it. I gave him my source code and he implement it but he didn't make it. He gave me an URL from PasteBin, and it's quite interesting site, as you can share your code to be analysed by other peoples (well, it has side effect as well, if you unaccidentally wrote your user/password over there also). This is a public place to paste things (primarily configurations and source code), but it is really open to pretty much any text format. The idea is to paste large items here when talking online to someone, or even when holding a phone conversation to paste the little things that are hard to explain. Well, next time if somebody wants to ask some program, maybe we can use this website also to dump my code and let people see and hopefully fix it if he/she founds some bugs on it. You can also request for the code itself (the highlighting feature) as it was mentioned in their website. Please note that this is a public websites. NEVER EVER put IMPORTANT DATA. If you do so, take your own risk. Mandriva developer teams have moved another packages into their new SVN services. This time, they moved userdrake, mdkonline, rpmdrake, and control-center packages which used to be in CVS services. This was confirmed by an email from Olivier Blin that i got this morning. I have checked out the latest repo paths and also updating the Mandriva's wiki page for SVN usage. One good things is that the developer wanted to started notifying other translator via the mailing list in case there has been an update to the POT file, as for now, the translation page is not related to the SVN statistics, so it's quite difficult to know when something has been changed. I hope they will provide some kind of web interface like Sourceforge.net did with their CVS and SVN web interface. It can make translator's task easier as we can view the changes online and quickly without having to look on each line (mostly for big translations, like DrakX). But, what i like in this release is they enhance their KHTML engine so that it supports some of CSS3's property as you can see in their changelog and in KHTML section. Although the CSS3 Specification is still being worked by W3C, some browser vendor has tried to implement some of them partially and hopefully when the specification has been finalized and published, most of the browser should have implement most of the specification. Today i read a news in DetikInet that wrote about 19 peoples have been asked by the police for sending an earthquake issue via SMS. All of them came from Jakarta and now, they have been brought to police station to be asked by the officer. I don't know what are the motivation for them to do this, but as far as i know, they have spread some issues about earthquake and tsunami that makes most people all over Jakarta were panic last week. Well, it's not a major mistake, as Indonesia does suffer some earthquake and it's good to have early notifications just to be prepared, but some people use this chance to deliver false warnings. BMG also didn't give better explanation on this and people were panic, since there has been so many disasters occurred in the last two weeks. But now, they have confirmed that they will use 2303 for their official announcements.